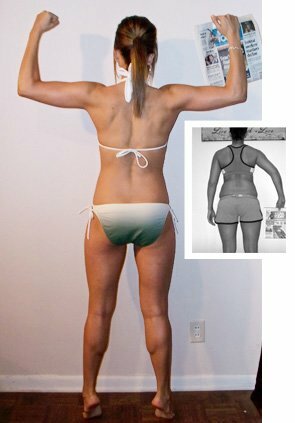 Body Transformation: Tessa Howsden Wins 2012 MusclePharm Live Shredded Challenge! Her competitive nature craved a challenge that could transform her busy life into a well-structured existence. The 2012 MusclePharm Live Shredded Challenge provided all of the above! BODY FAT 24% HEIGHT 5'6"
I would describe myself are family-oriented and competitive. I'm proud to say these two characteristics are what made me who I am and where I am today. When I was growing up, my parents always encouraged me and my siblings to pursue recreational and competitive sports. So I played soccer, softball, volleyball, basketball, and ran track. After high school, my competitive drive pushed me to stay active in intramural sports in college, too. Six years and a Bachelor's and Master's Degree later, I became a speech-language pathologist. I currently work with the geriatric population in skilled nursing and assisted living facilities and absolutely love it! Helping and caring for others rewards me every day. There's never a dull moment and plenty of laughter. That makes the name-calling and hair-pulling I occasionally experience easy to forget. My free time is filled with live music events, sports tournaments, family time, and traveling whenever I can. My favorite vacation destination is San Diego. I would love to live there someday so I have the beach at my fingertips - despite my fear of sharks! I know I have a lot of living to do, but I'm so happy with the life I've been blessed with thus far. I have God, my faith, and my family to thank for that! Tessa: Thank you so much! My inspiration came from a need for something new and challenging in my life. I played sports when I was younger, achieved my Master's Degree two years ago, and have been working like crazy ever since. Exercise took a backseat to my job and I needed a new challenge to get myself back on track. 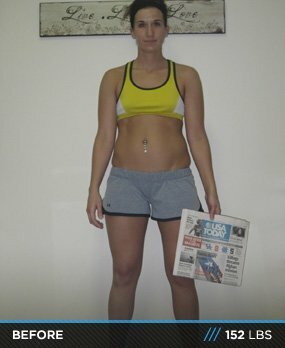 Before entering the contest, I thought I could eat whatever I wanted because I was working out every day. I realized that if I made some lifestyle and diet changes, I could have a more toned and fit body. I had tried numerous diet and workout fads without much success, so this challenge is just what I needed to get myself back on track! I was very surprised, actually! because I wanted instant results. became looser; I could feel myself getting stronger. I just felt better. By the end of the challenge, when I compared by "before" and "after" photos, I thought to myself, Wow, do I really look like that? Seeing my results really solidified the goal I was hoping to achieve. Planning my meals and workouts really helped me stay on track, but the occasional cheat meal was a must! Also, if I knew my afternoons or evenings were going to be busy, I would always make time in the early morning to do at least half of my workout. There were days I felt tired and less motivated to hit the gym. But every time I pushed myself to do my workout, I always felt like I accomplished something great. That feeling of accomplishment was all the motivation I needed! How did you push through those moments when you wanted to give up? There were definitely moments of weakness where I wanted to ditch the workout and grab a cheeseburger instead! The 4 a.m. workouts were not something I always enjoyed, but anticipating the end product helped me push myself in the gym every day. I didn't want the contest to end feeling like I could have done better or more. Definitely the nutrition and meal planning. My job doesn't exactly allow me to take breaks throughout the day, and I typically have to work through the lunch hour as well. That said, adjusting to a 6-meal per day plan was difficult. Also, it was hard for me to understand how eating that many times each day would help me lose weight. I was convinced it would make me gain! In my ignorance, I was skeptical about adding so much protein to my diet because I didn't want to get buff man arms. Once I got into a routine and made myself eat throughout the day, it became easier. What helped me the most was keeping a journal and tracking my meals one week at a time. Also, preparing meals in bulk at the beginning of each week was a huge timesaver. I would also encourage people to read up on the Paleo diet. For the average person, a low-carb, high-protein diet is best for getting lean. They'd be dead wrong, because that's what I thought about myself! To be honest, it's about how hard you're willing to push yourself. This challenge was definitely not easy, but seeing what I could achieve in the end made it all worth it. Honestly, just maintaining my progress is most important to me! I'm not sure making fitness a career is good for me right now. However, since I've finished the contest, I'm enjoying helping my family and friends get more involved with fitness. It's nice to know that I've been an inspiration to others. For the most part, I try to stick to a Paleo-based diet. I eat mostly fruits, vegetables, nuts, and lean meats. I also believe good quality, complex carbs are a good energy source early in the day. I try to limit my processed carbs, especially simple sugars. I'm exploring CrossFit right now. 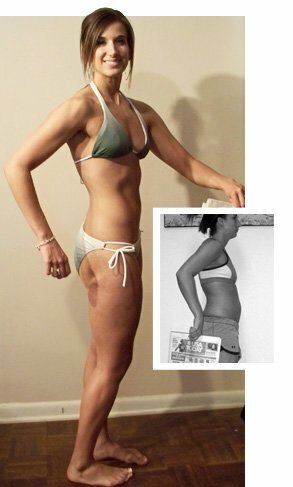 I believe for the average person, this is the best all-around fitness program available because it focuses on total body functional movements. However, for this type of challenge, I think a split weightlifting program and steady state cardio worked best to achieve a "contest" physique. *Cardio for weeks 5-12 consisted of 45-60 minutes of steady state cardio split between the morning immediately upon waking and post-weightlifting in the evening. Cardio Interval Training: 1 hour on bike, treadmill, elliptical or outside running. For every minute on the minute: Sprint for 10-20 seconds, then finish out the remainder of the minute at a moderate pace. Honestly, I believe whole foods are always the better way to go. However, for most people, it is nearly impossible to fill your daily needs of micro and macronutrients solely from whole food sources. With busy work schedules, family life, and everything else going on in the world, supplements can help you meet your nutritional needs. I supplement most often with energy supplements and protein. The caffeine and pre-workout supplements are almost a must when doing multiple workouts in a day. Caffeine for me can come in the form of iced tea, diet pop (occasionally), or energy drinks. My pre-workout of choice for this contest was MusclePharm Assault; I like the mango flavor. I was getting up at 4 a.m. for this contest to do cardio, working long days, and then going back to the gym at night for weightlifting sessions and more cardio. Protein supplements are the "cleanest" way for a person to get quality calories into his/her diet in a hurry. I tried to cook every meal, but sometimes it's just easier to take a protein shake. In addition, most protein supplements today are packed full of branched chain amino acids, fiber, and multiple kinds of slow and fast-digesting proteins. I took a couple different kinds of protein for this contest. I followed a strict "contest" diet for the final two weeks, consisting of all foods (no protein supplements during that time). I did continue to take energy supplements throughout.